I'm sitting here in my office looking out the window at an absolute downpour under an ugly black sky. LOVE it. This is my weather. I love watching the rain and hearing it drown out all other sound on a busy street. I love seeing the cars turn on their lights and see the streetlights come on in the middle of the day. I don't know if you know this about me, but I tend to fixate on things. I'll do/eat/listen to/want/crave it until I'm sick of it, and then I'll move on to something else. I do this with music, books, knitting, exercise, plants, etc. It's the one running theme in my life. What's Lynne's fixation this week? So what IS Lynne fixating on this week? Right this moment, it's these things. Longan berries (also known as Dragon Eyes or longan fruit). 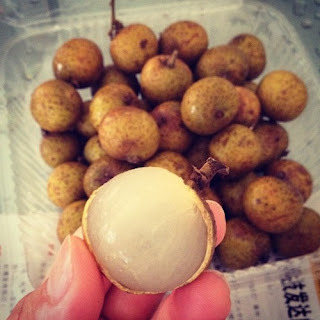 They're like lychees but a bit more transparent and with a slightly milder, more mushroomy flavor. Don't let my weird taste buds dissuade you. These are DELICIOUS. I've been prepping a few to bring in my lunch every day, and I can't get enough of them. I bought a bunch of them at the grocery store on a whim, because I didn't know what they were or how to eat them (I do that rather often, actually). All you have to do is peel off the papery skin (use a knife, and watch your fingers) and dispose of the pit, which looks like a blueberry! These would be awesome in a martini, or at least I assume they would be - I can't have martinis, so I can't find out. Someone check for me? Knitting-wise, it's Project Linus blankets. I'm crocheting granny square blankets for them and knitting hats for Halos of Hope to bring to Chicago with me for Stitches Midwest. It's not like I don't have enough on the needles... I'm just determined to get a few more done. Don't ask me why. I have no idea. I don't even LIKE granny square blankets. Bentos!!!! Mine aren't quite this fancy. But I really LOVE the idea of little portions of things all packed together to make an awesome lunch/dinner/whatever. 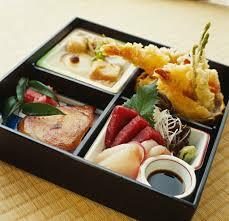 This week for my lunches at work, I've been all about the bentos. I made a big pot of quinoa/bulghur, and so far I've had that with fried tofu and NY strip steak (had half on Tuesday, the other half today), a bit of fruit (strawberries & longan berries), steamed veggies (carrots, broccoli & cauliflower), yogurt and other little bits and pieces. I'm out of steak now, so tomorrow might be boiled shrimp. 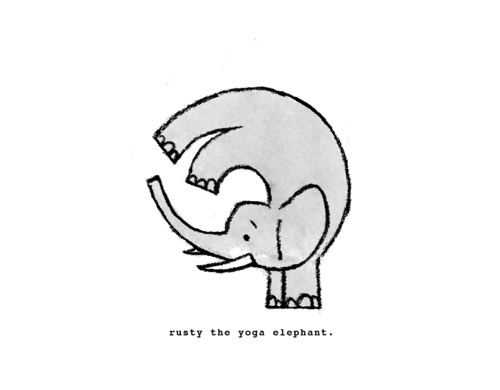 And of course, yoga. I've been DYING for yoga. I tried to do some in my kitchen the other day, but the nylon-covered exercise mat I purchased wasn't the greatest idea I ever had (it slid out from under me during the first sun salutation position!). Unless I can convince my kids to go with me (and pay for 3 participants - yikes), I'm stuck with finding a class that runs on Sunday mornings. I need yoga! And blocks. I can't find the bloody blocks ANYWHERE. If you've seen them hanging out in a store anywhere, let me know, because I'd like to buy a couple (mobility-challenged, so they really help for getting down into floor poses and then back up again LOL). I don't care how badly they played last night (actually, they didn't... Pittsburgh just skated circles around us), they're still my boys and I love them!